Hey, everyone! Long time, no post! Sorry for such the long gap, but things have been pretty busy on this end; sister with new baby, holidays a coming, working like crazy. I can’t complain, though. Wouldn’t want any other life. Now, here is a recipe for the best apple pie I have ever had, and this was my first attempt at making it all by my lonesome. This recipe I got from my dad. I pretty much guessed on some of the measurements for the apple pie filling. He just gave me a quick list of what’s in it, and it turned out great. The apple filling held perfectly. I was worried the filling would be too watery and ooze right out after slicing the pie. I suggest that everyone who is a food enthusiast to make apple pie filling from scratch. 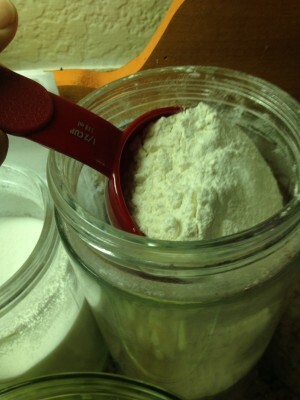 It’s so easy to make and so much tastier than canned or jarred pie filling. 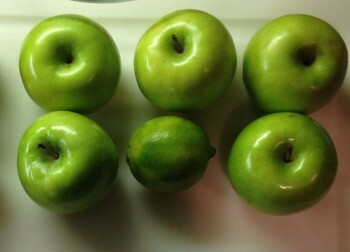 While the oven is preheating, peel and dice the green apples. Be sure to get all of the peel off the apple. Cut the apples into 1-1/2- to 2-inch sizes. Nothing is more satisfying than dicing a crisp, green apple. 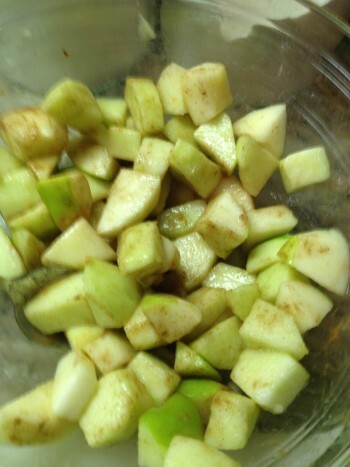 Place the diced apples into a bowl and then squeeze in about 2 to 3 tblspns of lime juice. For the marzipan, I just break off half of it and crumble it into small pieces with my fingers, or you can cut it up, your choice. Now, for the fun part. 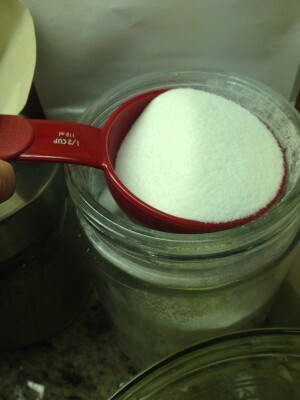 With clean hands, get in there and start crumbling the ingredients together. 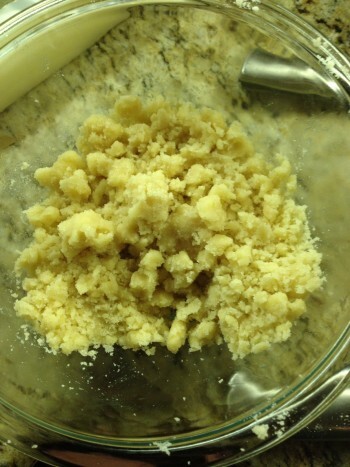 This crumble tastes so good baked. It’s like little pieces of baked candy with every bite of pie! Bake this pie for 25 to 28 minutes. 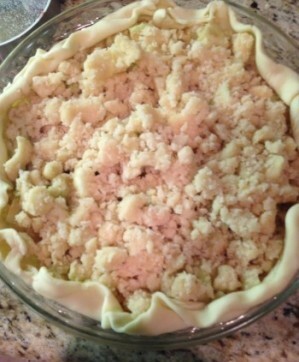 I suggest half way through placing foil on top of the pie to keep the crumble and the edge of the pie crust from burning. Just lovely! The topping is browned just right. This should also be an indicator to let you know it’s close to finished. You don’t want any burned spots. It ruins the taste completely. 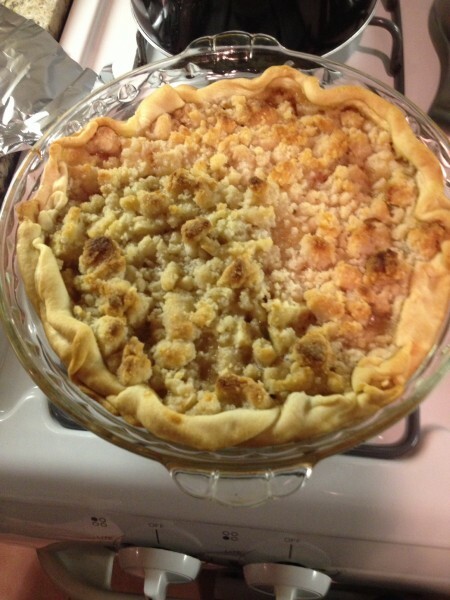 My husband and I gobbled this pie down within a matter of days it was that good! 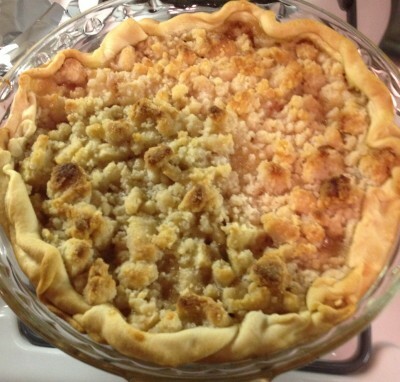 This entry was posted in Apple Pie, Main Meals, Recipes and tagged Apple, dessert, Food, pie, Recipe, sweets by mrewilson. Bookmark the permalink. P.S. 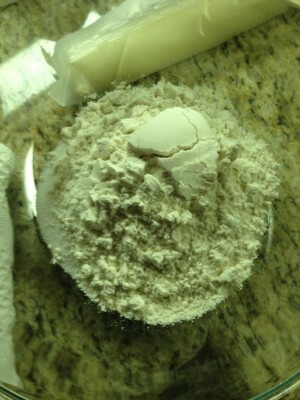 Where do you find Marzipan or almond paste in the grocery store? Thank you so much, Sheena! Curt will love this, really. It’s such a fun dish to make, too. You can find marzipan in the baking aisle near the extracts, that’s where I found mine. It should be on the very top shelf. Hope you try it :)! This looks amazing, Marie! I’m gonna have to make it for Curt, apple pie with streusel is his favorite 🙂 I always look forward to seeing what you make next! Definitely the best apple pie I’ve ever had!!! You’re the apple pie of my eye!! 🙂 Cuteness overload is our specialty, lol!